Grandmother / Granddaughter , etc. 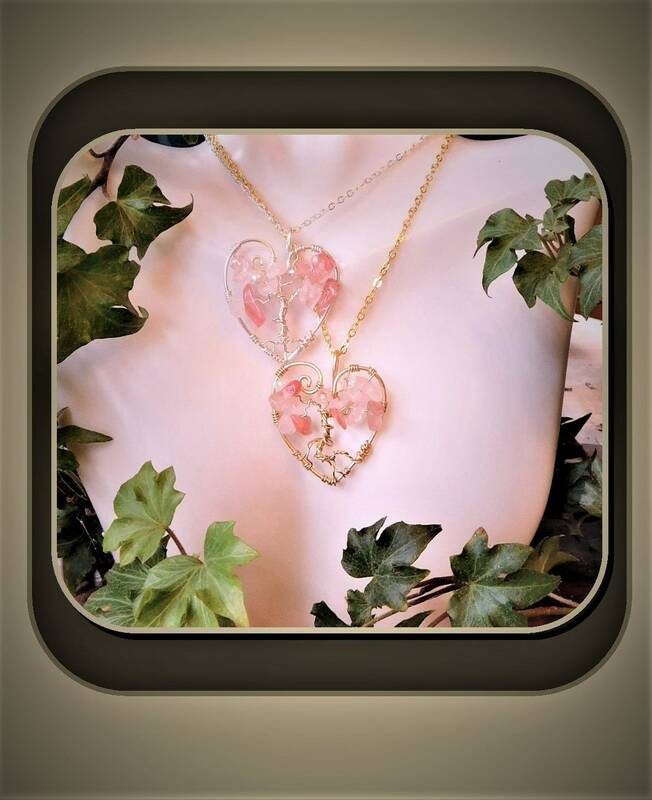 Give the Gift of LOVE...Rose Quartz, known as "the Love stone" symbolizes Love and is also a powerful healing stone, used to build confidence. This "One of a kind" is the first piece of this design, created by me! 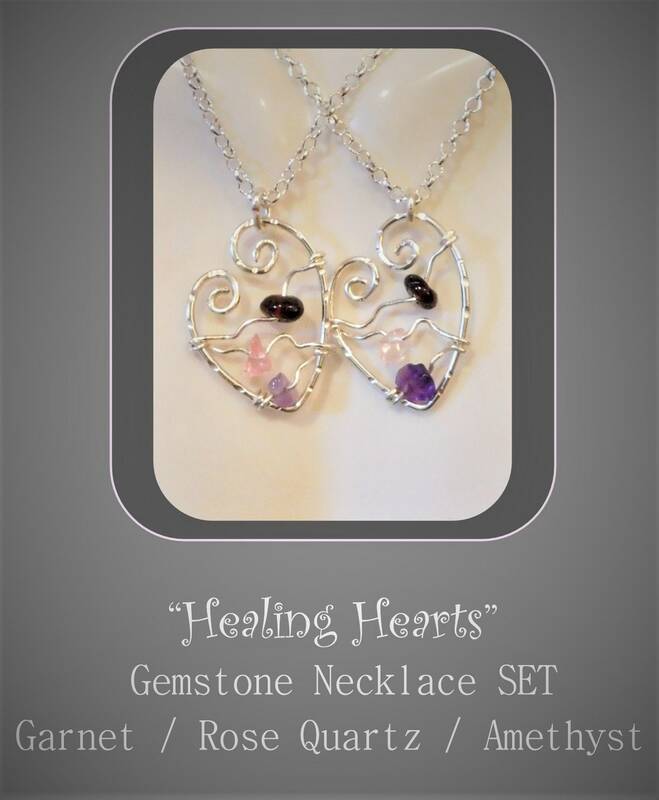 A Beautiful Sterling Silver plate, Heart with Sacred Spirals and Rose Quartz delicately woven into the design! 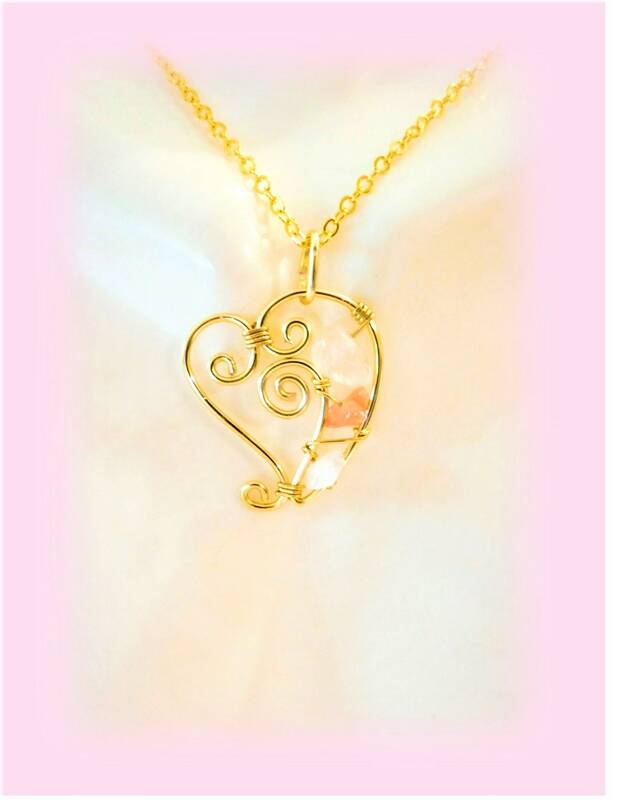 "A Great Mother Daughter gift, Rose quartz the LOVE stone. Wear a matching set for Mother, Daughter, Sisters, Best Friends, Grandmother, Granddaughter!" A Great Wedding and Marriage gift idea! The Love stone Rose quartz, is the Stone of Love in Marriage! It helps the user feel a strong sense of self-worth, therefore being worth love. Rose quartz is the stone of universal love. It is also the stone of love in marriage. When worn in jewelry the wearer feels a sense of self-worth. "Your marriage can have more sparkle and fire when you wear a rose quartz. " You will look younger too.